Here's the last of my leather experiments so far. 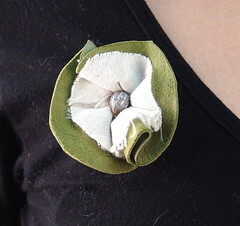 These are magnetic flower broaches made from leather, muslin, and Bolivian seeds and seedpods. 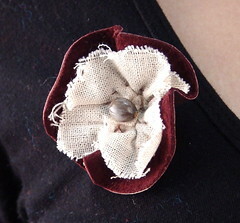 There is a small, powerful magnet embedded in each of the flowers. 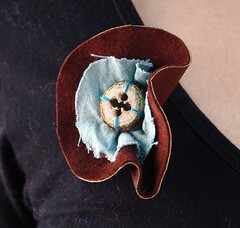 Place another little magnet on the inside of your shirt or jacket for a lovely little burst of color. 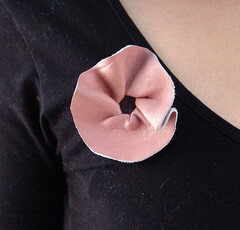 These also hold well in hair, and look sweet on a plain pair of ballet flats!